Daren Goldin stands with one of his company's solar installations on a Coconut Grove hotel roof. In July 2017, South Miami passed an ordinance requiring people building new homes to install solar panels. In January 2018, the first homeowners began moving into Florida's first solar-powered city: Babcock Ranch, near Fort Myers. 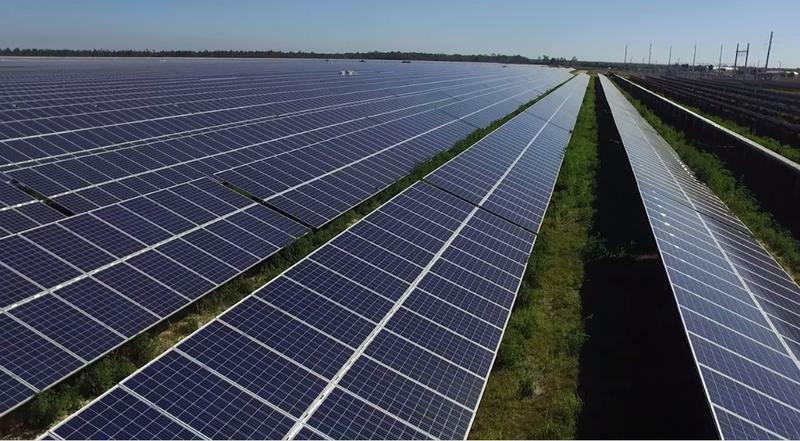 Also in January, Florida Power & Light opened four new solar power plants. And throughout Southeast Florida, opportunities are emerging for residents to participate in solar energy co-ops, which bring homeowners together to get discounted group rates on solar panels. 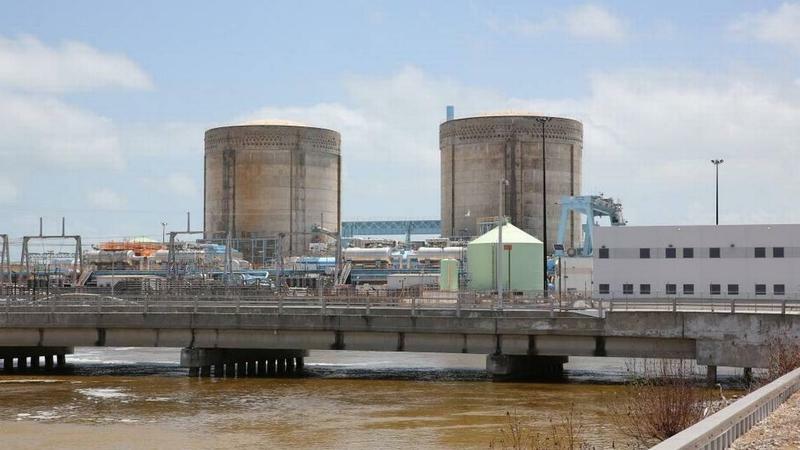 Jody Finver, who coordinates Southeast Florida co-ops for Solar United Neighbors (SUN), wrote in an email to WLRN that the group has active co-ops in Miami-Dade and the Upper Keys, an ongoing co-op in Palm Beach County and had two co-ops last year in Broward County. She said the national organization has formed 29 total co-ops in Florida. SUN guides participants through the process of selecting its installer, although Finver said SUN organizers remain neutral when it comes to actually picking the installer, and that the selection happens through a competitive bidding process. On Monday, the Miami-Dade Solar Co-Op selected the installer, Cutler Bay Solar Solutions, for the 75-plus participants in its group. In the Upper Keys, the selection process is underway as participants review bids from various installers. Finver said that for people interested in going solar in South Florida SUN is hosting information sessions this week. One is 7 p.m. Wednesday at Miami-Dade College's Hialeah campus, 1780 W. 49th St., Hialeah. 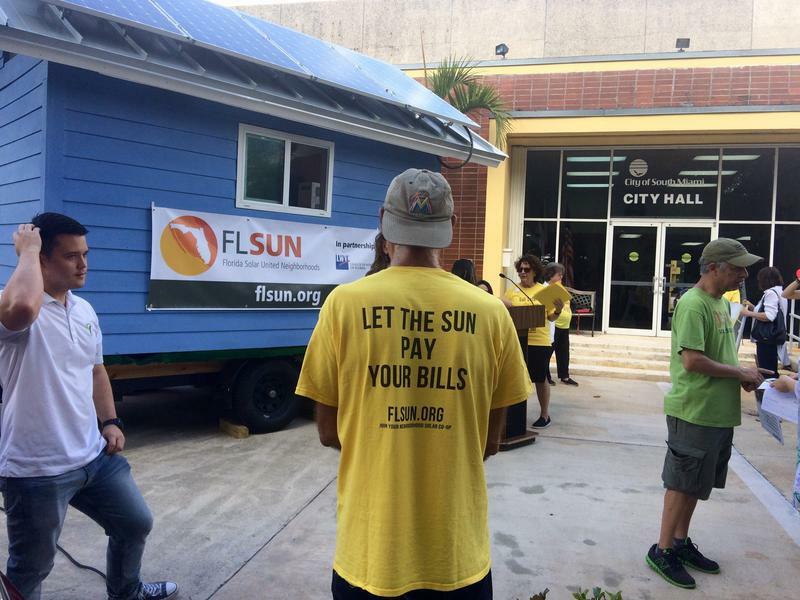 The other is 7 p.m. Thursday at the McDonald Center in North Miami Beach, 17051 NE 19th Ave.
About 30 people dressed in yellow t-shirts gathered in front of South Miami City Hall Wednesday to announce the addition of two new solar co-ops in South Florida. A solar co-op is a group of homeowners who team up to install solar panels on their rooftops and use solar energy. Together, they are able to negotiate lower prices by contracting with the lowest bidder.